Andrew showed us how to prove we need better content in his Blog “Got Content?“. Now that we can prove to management we need it; it’s time to add Amazing content! 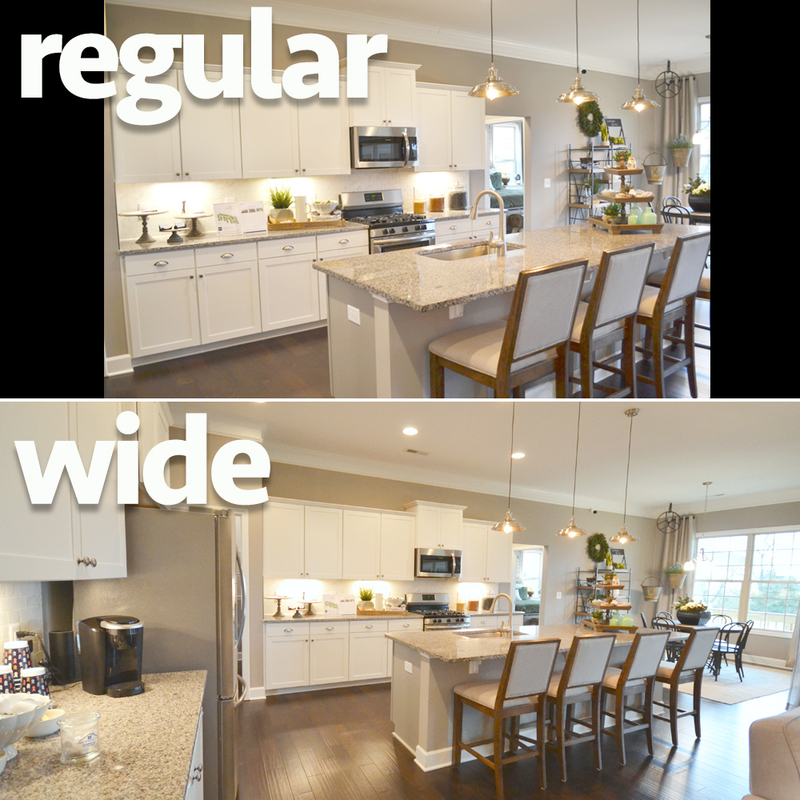 The bare necessities you need on your site are well-written copy, and a minimum of 30 photos per each floorplan (50 is better). 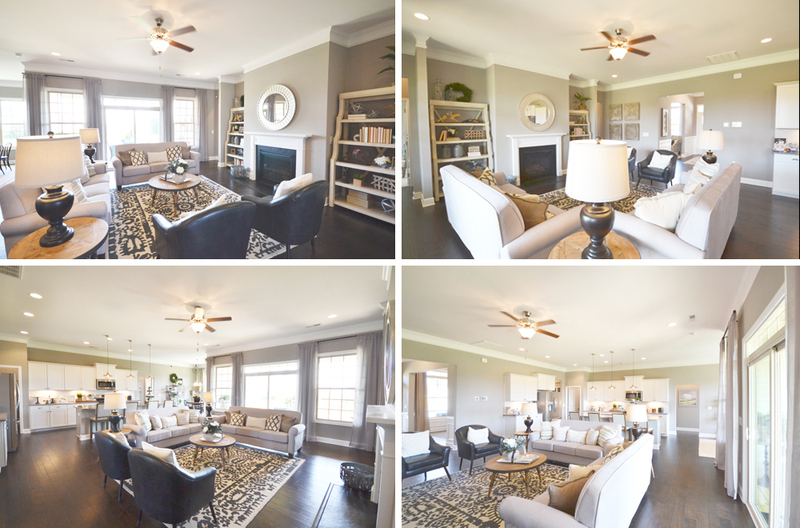 Phase 2 is a video or Matterport tour for each floorplan you build. Then the cool design tool stuff. Let’s tackle photos today because these need to be 100% before you can go to video or that other stuff. Whether you’re the one taking the new home photos, or you are relying on others to capture your product, you (marketers) are ultimately responsible for the images on your website. And there are few things you can do to set the photographer (sometimes you) up to get the BEST photos. Here is the difference from the same spot! You can see the coffee bar and refrigerator as well as the breakfast area in the wide-angle image. Showing the entire kitchen in the photo gives the viewer a better idea of what the home is actually like in person. Make sure the sun is not rising or setting in your windows. 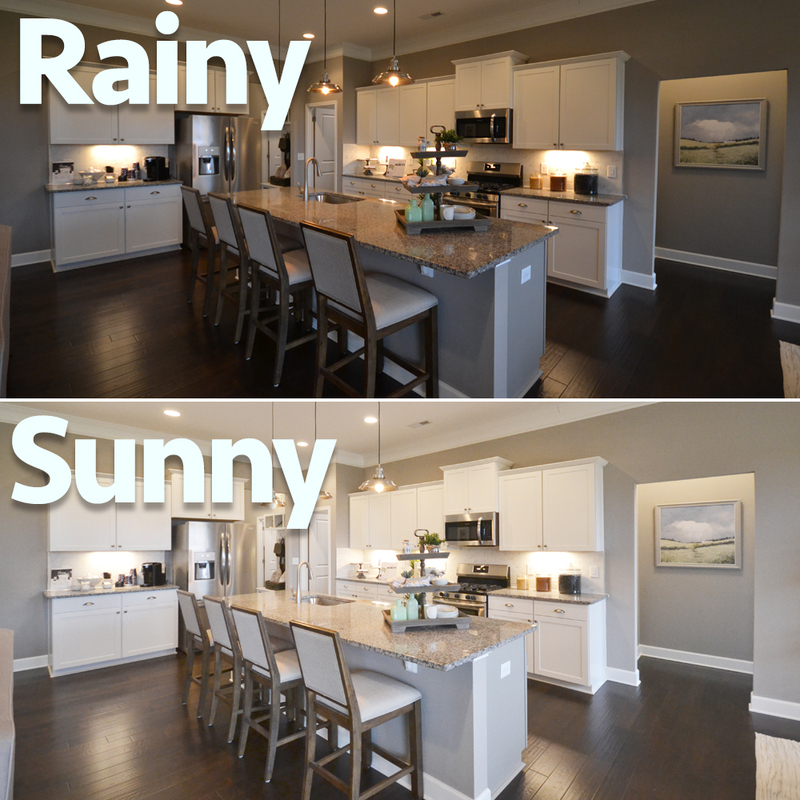 For example, if most of the home gets afternoon sun then photograph the interior of the house in the afternoon. 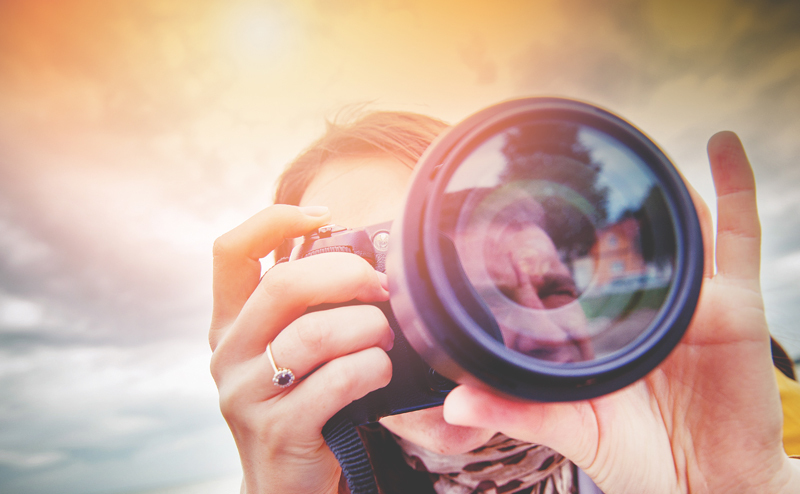 By picking good days and photographing at the right time of day, you can save on editing time. Below you can see why a sunny day is best! 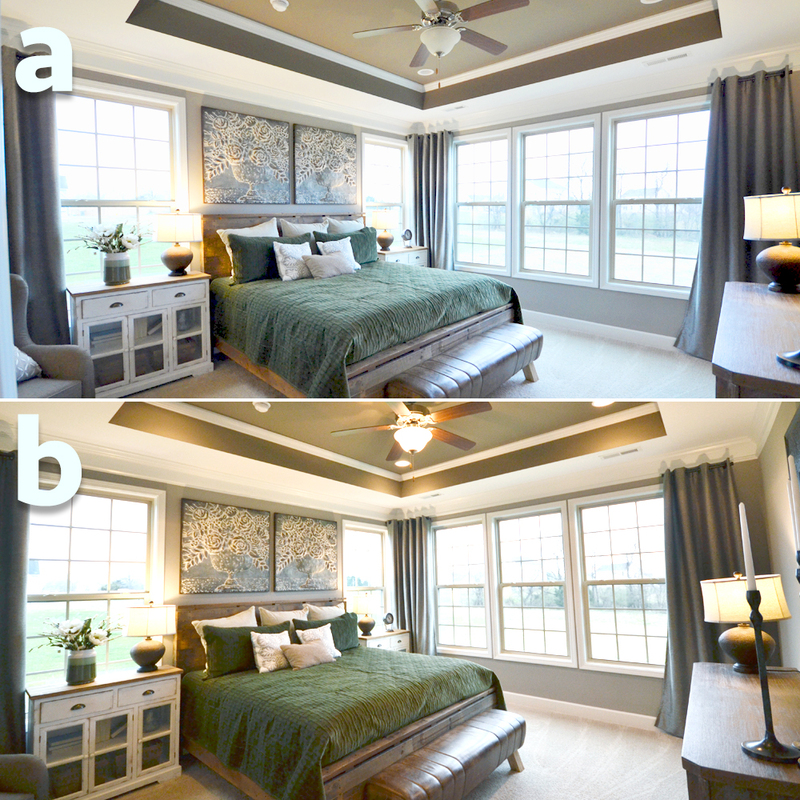 Make sure you have the right angle for each room! By that I mean you can capture the best features of each room. Capture the whole room to give layout context. 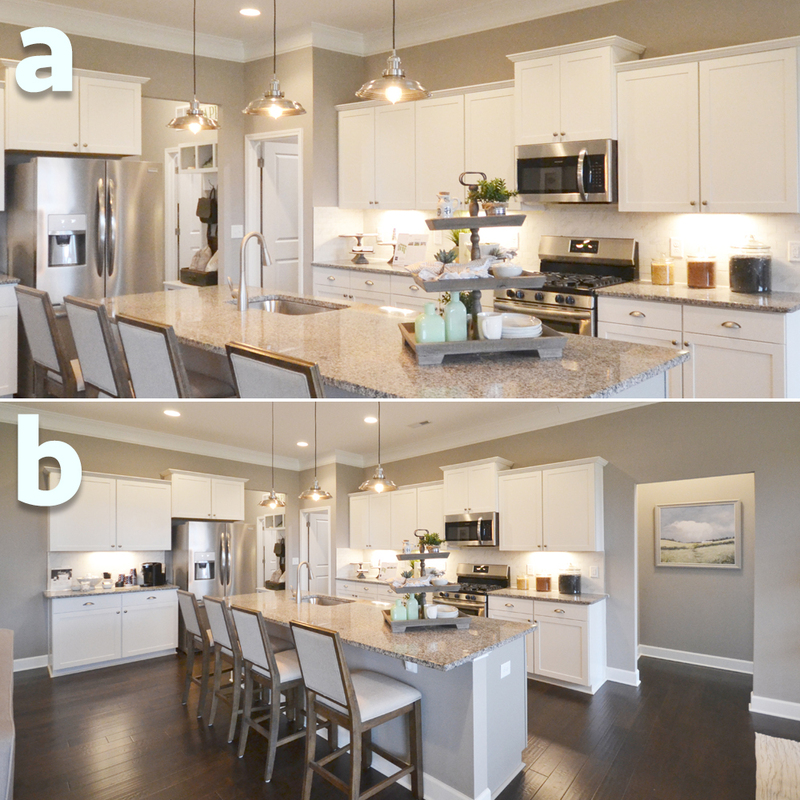 If you have to pick one of the two images below, pick b. A feels closed off and cluttered. 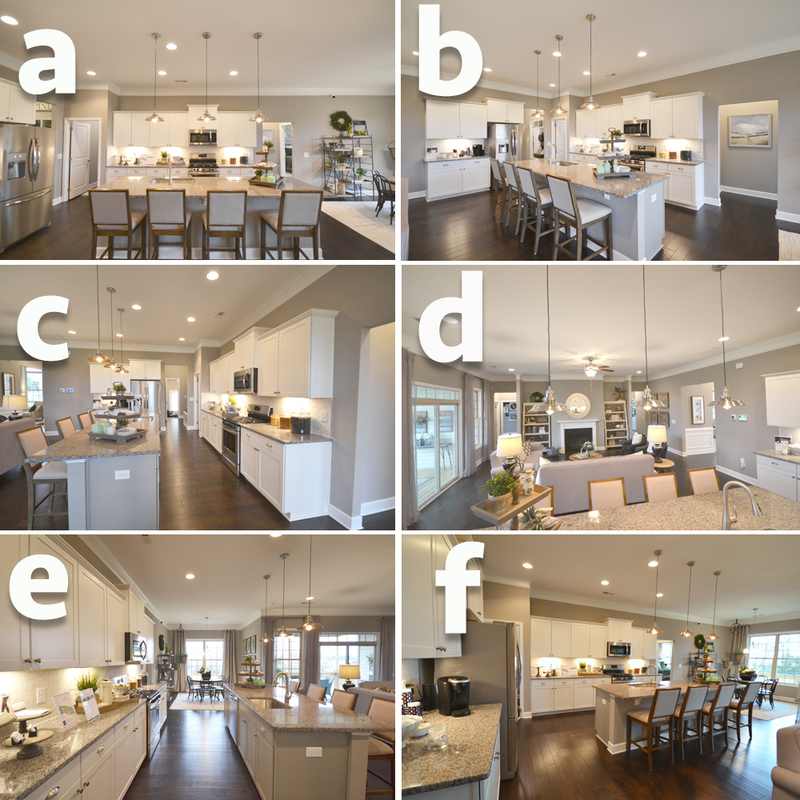 Shoot from each corner of each room and pick the best 2-3 photos to edit & post. If all four angles look good and it is a common area, use them. No need to put all four images up for bedrooms 2-4+. 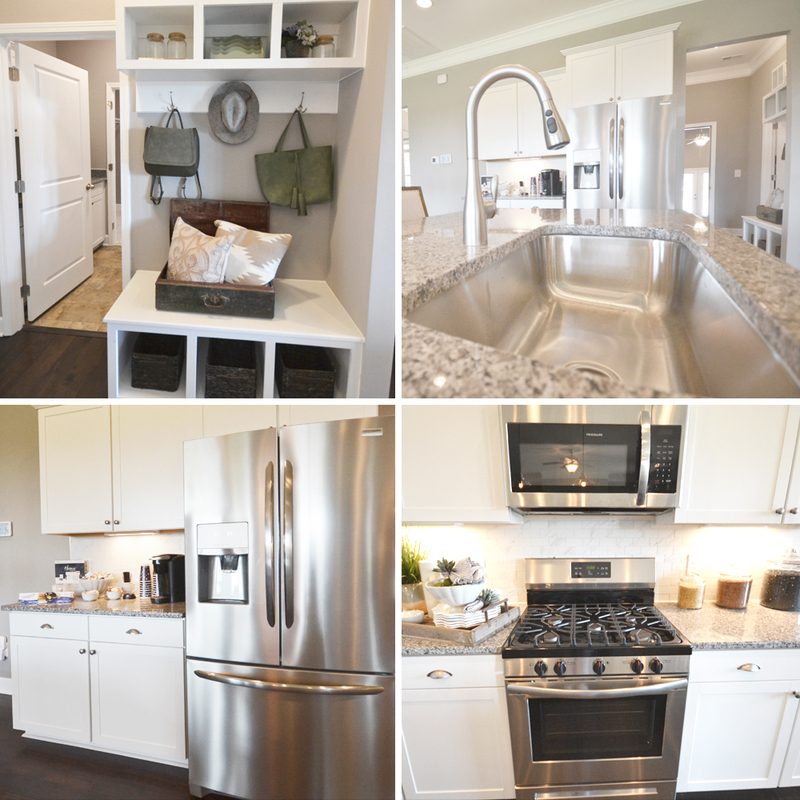 In the kitchen, shoot four corners, one head on of the kitchen, and from the kitchen to the great room, then choose several to use including close-ups of the appliances. Use all six if you want to have 50 photos on your site. I like to post them in a sequence as if the viewer were walking around the kitchen themselves. Your House Has Jewelry! Show it Off!!! Show distinctive features close up and in context. All lights on/Fans off. Overhead lights are off in A. Overhead lights are on in B. Having the lights on polishes the quality of the photo. TOILET SEATS DOWN!!!! 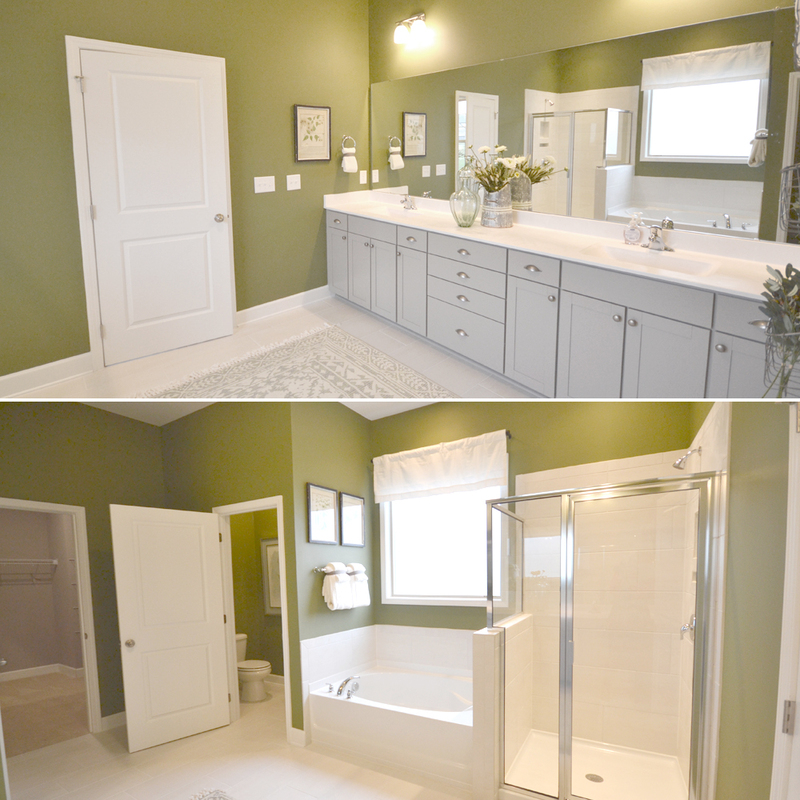 -We all know which way the water drains.浪Make sure you can get a dual vanity image without a cameo and separate tub & shower in the reflection of the mirror if the layout will allow. It is best to have a picture of just the tub shower even though you have the reflection in the mirror. Your camera comes with a button that turns on a grid for the view screen. You should use it to make sure the photos are not crooked when you take them. Photographing Not For You? 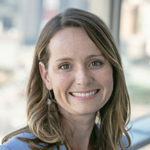 Delegate To Your Photographer! Architectural details if present, Tray, Coiffeur, Wainscoting, shiplap, built-ins, etc. When you upload the photos to the back end of your website make sure you label the photo with text, and your site has the capability to use that text as your alt text. So simple and it helps with SEO! Make sure your website is set up to use the photos in the “buildable plan images” until actual photos can be uploaded for the exact inventory home, this way you will always be able to show your best photos on your website!!! Push your compelling content to the wide advertising web! You may have to update your CMS to include latitude & longitude fields for each listing. And manually paste them into your listings when adding to the website. Have your developer install the API from your website CMS to Zillow (if you promote your listings), it can copy the images, and video from your listings on your site through to the promoted listings on Zillow. It will automatically update a listing with any changes overnight! Your Amazing new photos will be impactful on your website and in all of your digital marketing!!!! !